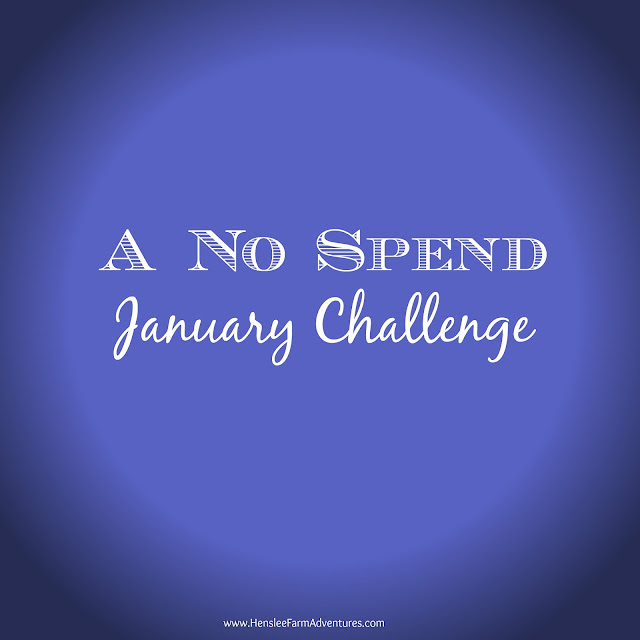 For the past three years we have participated in a no spend January. If you have never done that before it basically means that you pay your bills and buy only the necessities. You spend as little as possible on gas and groceries. And if you don't need it, you don't buy it! The first year we participated in this went great. We didn't spend any extra money and I'll never forget that we spent a total of $75.00 on food that month. In fact I strive to do the same every month, but have never been able to duplicate that month's food budget. The next year went ok. We had to buy tires for Steve's car but we had money saved and was able to use that. When we did go shopping I made sure what we got was what we needed, not what we wanted. That meant that I put several items back on the shelf after having them in my cart. As I walked around the store, I asked myself, is this something my family can live without? Last year (our third year) just seemed to fall apart from the beginning. Drew needed new glasses and insurance didn't cover them. We had several repairs that came up and it seemed we were shelling out money for the kids for this activity or that. I really had not planned on doing a no spend January this year, but after looking at our finances and knowing we needed a way to recover from Christmas and taxes, and everything else that cost money in December, I thought it would be good if we went ahead and did a no spend month. We will also be going through our house and purging anything that we do not need or use. We have already tackled the hall closet (post coming soon) and I have gone through Carly's clothes. It had been over a year since I have went through her clothes and gotten rid of the ones that don't fit. Needless to say I have two trash bags full of girl's clothes. I hope that you will join me in this challenge. I have started a Facebook group as a support to help each other out. You can find it by going here. Let me know in the comments below if you have ever participated in a no spend month, and please join us on Facebook!